Church History reveals that Christianity has its roots in Palestine during the first century and was spread throughout the Mediterranean countries by the Apostles. However, despite sharing the same ancestry, Muslims and Christians have been living in a challenging symbiotic co-existence for more than fourteen centuries in many parts of South-Eastern Europe and the Middle East. 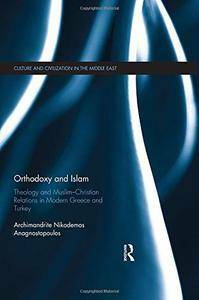 This book analyses contemporary Christian-Muslim relations in the traditional lands of Orthodoxy and Islam. In particular, it examines the development of Eastern Orthodox ecclesiological thinking on Muslim-Christian relations and religious minorities in the context of modern Greece and Turkey. Greece, where the prevailing religion is Eastern Orthodoxy, accommodates an official recognised Muslim minority based in Western Thrace as well as other Muslim populations located at major Greek urban centres and the islands of the Aegean Sea. On the other hand, Turkey, where the Ecumenical Patriarchate of Constantinople is based, is a Muslim country which accommodates within its borders an official recognised Greek Orthodox Minority. The book then suggests ways in which to overcome the difficulties that Muslim and Christian communities are still facing with the Turkish and Greek States. Finally, it proposes that the positive aspects of the coexistence between Muslims and Christians in Western Thrace and Istanbul might constitute an original model that should be adopted in other EU and Middle East countries, where challenges and obstacles between Muslim and Christian communities still persist. This book offers a distinct and useful contribution to the ever popular subject of Christian-Muslim relations, especially in South-East Europe and the Middle East. It will be a key resource for students and scholars of Religious Studies and Middle Eastern Studies.